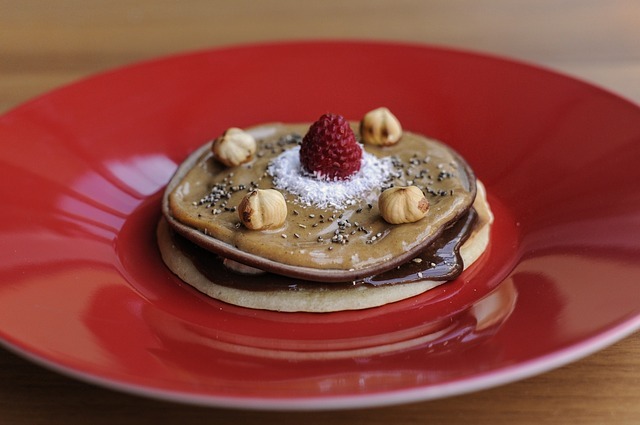 A low carb pancake recipe can easily be made by using a grain-free alternative like almond flour. Nut flours that are gluten free will be quite a bit lower in carbs than flours made from grains. You can also lower the amount of carbohydrates in your pancake recipes by using another low carb alternative called stevia. 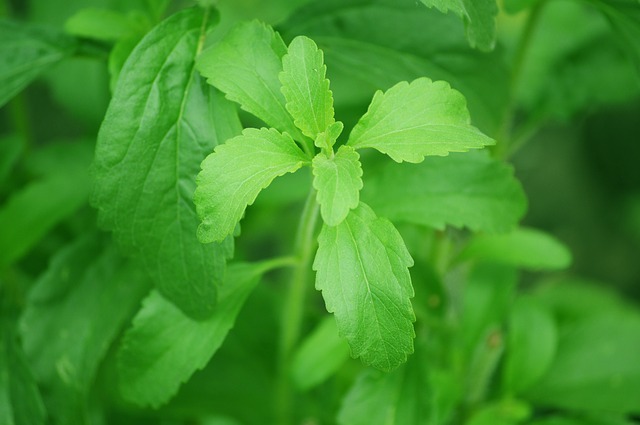 Stevia Leaf (from a natural plant) is much sweeter in taste than other sweeteners, but is very low glycemic and won't spike your blood sugar level. Whisk ingredients together in a bowl. Then spoon batter onto a greased cast iron skillet. Cook pancakes on a med-low heat and flip when firm enough. Then cook for another minute or so. 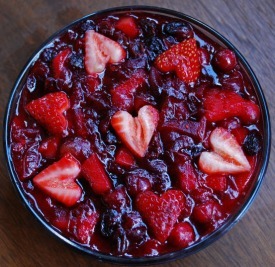 Top with a pat of butter and a berry compote made by blending unfrozen berries with stevia. I think it's a great idea to replace the syrup with lots of butter and a berry compote sweetened with stevia. Fruit like berries can help to give you more potassium which most people need - especially in the beginning of a Ketogenic Diet. 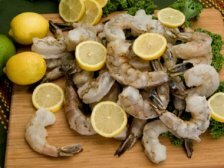 Use "real" foods as much as possible to get the best nutrition for your body. You may not want to use an almond flour that contains the outer brown hull of the almond because you will end up with a coarse textured low carb pancake. Technically, this is called almond meal flour. Using a blanched almond flour that was finely ground will give you more of a "traditional" pancake experience. I have to say that almond flour is not my favorite flour to use in low carb pancake recipes. 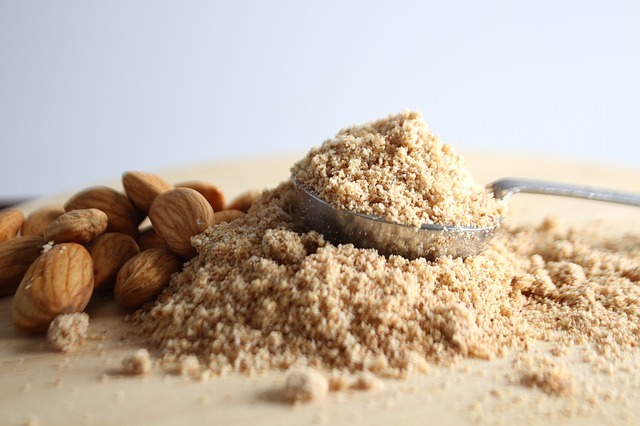 Almond flour is very high in omega 6 fatty acids and when eaten in excess will contribute to inflammation in the body. However, a little almond flour every now and then should be okay. 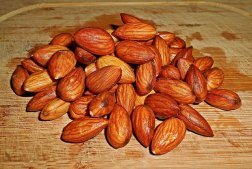 Although, to avoid consuming the anti-nutrients found in this nut, you will want to learn how to make your own almond flour. You can also put your freshly made almond meal flour through a fine sieve to get rid of some of its course texture. Then use in your low carb pancake recipes. Use a half gallon mason jar and fill with a few cups of spring or filtered water. Add a 1/2 tsp. of sea salt, cap jar with lid, and shake to dissolve. Open lid and add in about 3 cups of truly raw almonds. Put a sprouting lid on and let soak overnight or 12 hours. Drain soaking water and rinse several times until water is clear. Then turn jar upside down (with sprouting lid on) to drain any excess water. Let almonds sprout for several hours. When almost all of the nuts have a small white nib, put the sprouted nuts on dehydrator trays and dehydrate until thoroughly dried. Then blend nuts in a Vitamix or use a really good juicer to make your almond meal flour. Plant your own stevia and easily make your own pure stevia sweetener from dried stevia leaves. The stevia that you'll find at the grocery stores is processed stevia that may be toxic because of the chemicals that are used to extract the sweetness from this plant. Be sure to only buy Organic stevia if you don't grow your own. Blend all pancake ingredients with a hand mixer. Pour pancake batter onto a greased and heated griddle. Cook pancakes until golden brown before flipping. 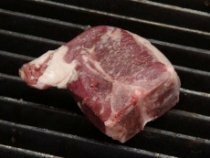 Then cook for one minute or so. She is an interesting Keto cook and I like the addition of cream cheese to a low carb pancake recipe. Cream cheese will give your keto pancakes more body. 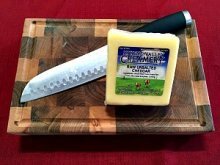 I suggest you learn how to make your own healthy cream cheese to use in your Ketogenic recipes for much better nutrition.